for my son to give to his wife! 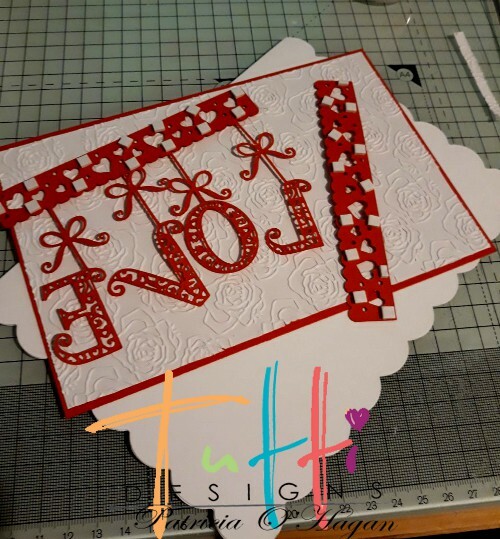 I went with an a5 size card as I wanted to use the Hanging Love die on top and bottom of card. I also used a piece of white embossed card and red card. Cut the Hanging Love die out using red card then cut the top end of the die again and emboss both. Save those little hearts that pop out of the border. 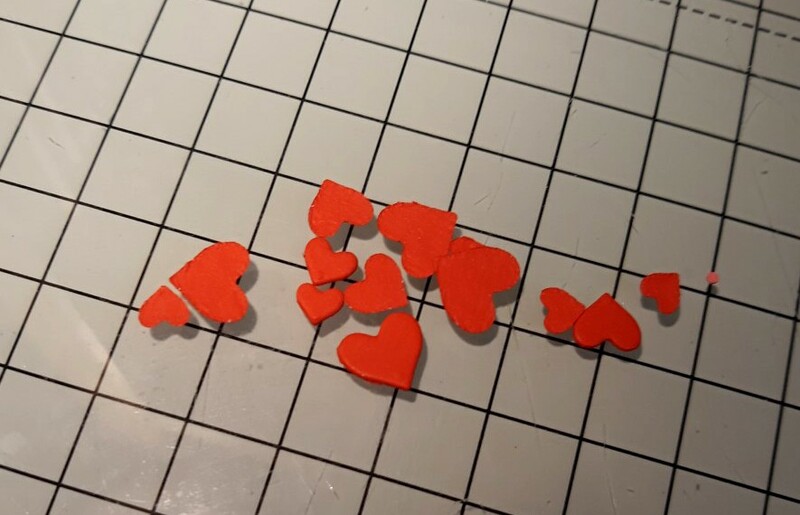 Add 3d foam squares to both heart panels of the Hanging Love die. I didn't add any glue or foam to the lettering as I wanted them to hang free. 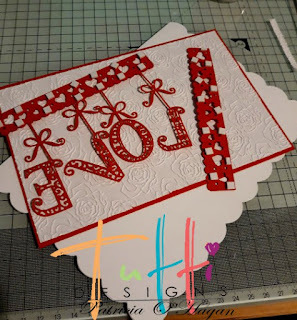 to top of card and heart border to bottom. I added a little boy image, coloured with promarkers to base heart border. You could easily get away with just using the little hearts and no image. Hope you like it! Have a great weekend and thanks for dropping by. Beautiful! The image you used is adorable. 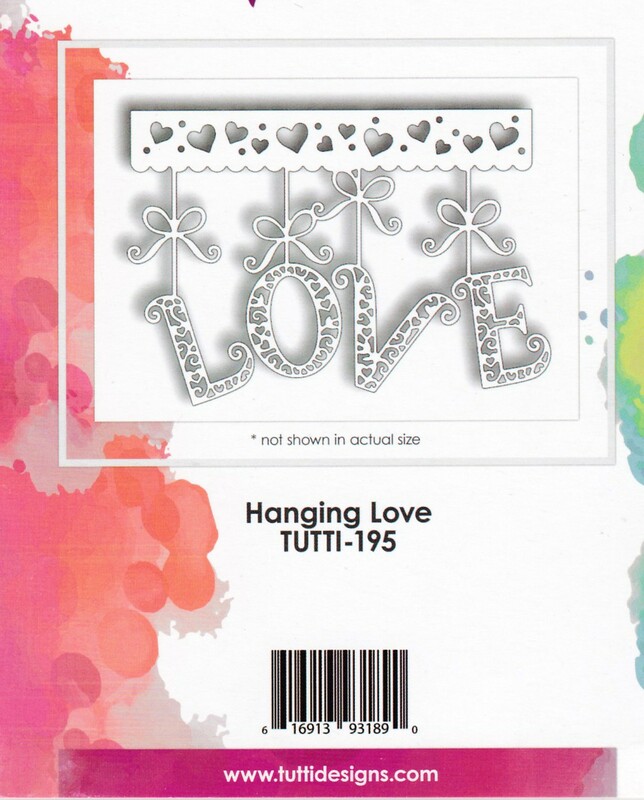 The embossed background looks fabulous with that hanging heart word. Love it!! FANTASTIC! What a fabulous card for your son to give to his wife! You are so thoughtful! Love your overall design ... great inspiration here! Well done! 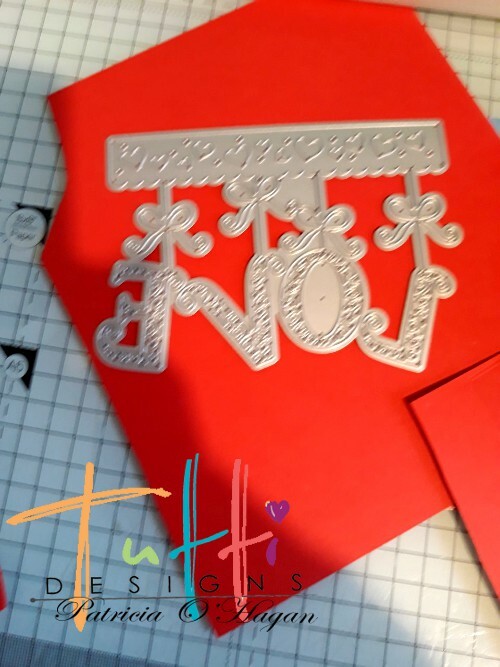 Hi pinky what a gorgeous card I love your die cuts and your design is wonderful. 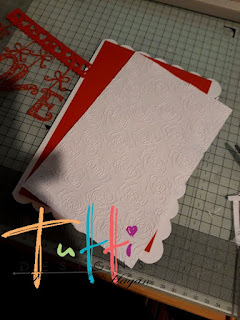 I really enjoy the card you make! Such great colours!! So cute..and such a fun card! 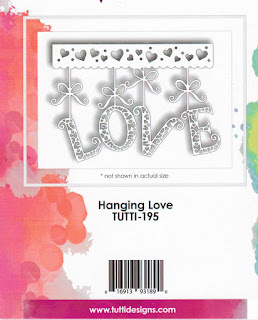 Very pretty, love the love die...awesome!